Reason #1. We can safely clean even the highest windows. If you don’t live on the ground floor, or your home has multiple stories, then there’s a good chance that you have some windows that are out of reach. And, the last thing anyone wants is to get hurt for the sake of clean windows! Hiring the professionals means that you’ll get your windows clean and sparkling without having to put yourself in harm’s way. Reason #2. We have the right equipment for the job. Unless you have or had your own window cleaning business, there’s a strong possibility that you don’t have all of the professional equipment you need to get the job done right. And, even if you were to go out and drop all of the money you need to purchase the right equipment, do you have the experience and training on how to use it properly? Reason #3. We can safely clean windows that are tinted or have window film. If you have specialty treated windows for any reason, be it to increase privacy or safety, or to reduce glare and heat gain, you shouldn’t try to clean them yourself. Specialty treated windows are an investment, and you want your investment to last and keep being effective for as long as possible. Window film can be easily scratched if you aren’t careful when you clean it, and you may end up damaging it if you do it yourself. Reason #4. We can clean even the trickiest windows. There are many different kinds of windows, and some are certainly trickier than others to clean. For example, if your windows are leaded — which means they are framed in a metal, like copper — you have to use a certain solution in order to avoid damaging the frame. Some other kinds of windows that can be tough to clean include storm windows and double hung windows. When you hire our professionals like ours, you can rest easy in knowing that, no matter how tricky your windows are to clean, we’ve got you covered. Reason #5. We can leave your windows spot-free! Cleaning the grime off of your windows is one thing, but achieving sparkly, spot-free windows is a whole other ballgame. If you’ve spent hours scrubbing your windows, only to have them end up covered in cheetah spots, it’s time to find a better option. Don’t waste your time and energy, only to end up with sub-par results. 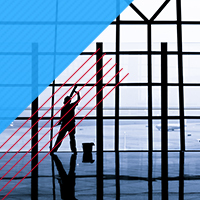 Instead, get it done right the first time by hiring the experts at Total Window Service. Reason #6. We can safely clean stained glass. Cleaning stained glass windows isn’t like cleaning regular windows. Specialty windows, like stained glass, require specialty cleaning methods. Not only do these specialty methods help to keep your stained glass windows clean and beautiful, but they help to protect them and make them last longer. Reason #7. We can help you free up more of your time. When you’re already working a full-time job, and you have a family or even pets at home to take care of, chances are, your schedule is already pretty full. Why sacrifice your free time to clean your windows, when you can hire a professional to do it for you? Not only will hiring a professional free up more of your time so that you can relax and be with your family, but you’ll also get better results! 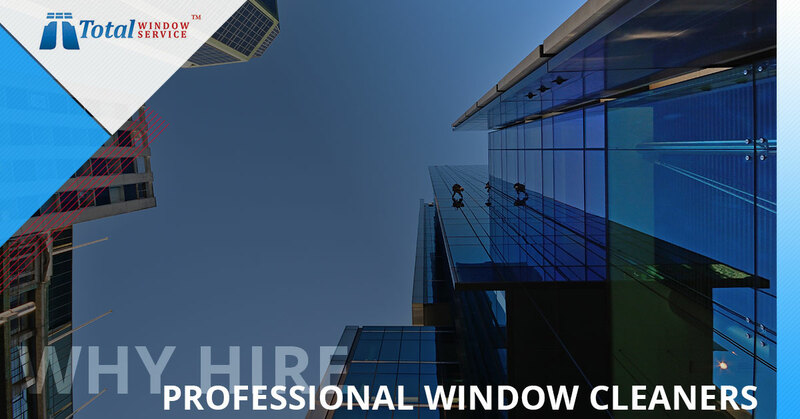 No matter your reason for hiring a professional to clean your windows, it’s important to hire the right professionals for the job, and here in New York City, there are no better window cleaners to turn to than Total Window Service. Our experienced team can handle any and all of your window cleaning needs, and our technicians are always reliable, professional and attentive to the details. Contact us today to get your free window cleaning quote!